Hard to believe this isn’t made up. Either NOAA are completely incompetent at record handling, which ought to be a scandal in itself, or they want to hide the data, derived from publicly funded research, from the public. Either way, this stinks. Eric Worrall writes: It looks like NOAA have found a new way to stifle FOIA inquiries from the public. According to Steve Goddard, NOAA have just demanded a $262,000 administrative fee for zipping up a few raw data files. Steve Goddard has published a scan of the outrageous fee demand he and fellow FOIA requestor Kent Clizbe received from NOAA administrator Maria S Williams. The letter, sent on March 17th, demands $262,000 by March 24th, or further communication – otherwise Maria says they will consider the matter closed. It continually amazes me that so many people still think most scientists believe man is the significant driver behind global warming. I have lost count of the number of times John Cook’s 97% consensus paper has been debunked but this latest post by Richard Tol provides an excellent summary of the key points. If you want to believe that climate researchers are incompetent, biased and secretive, Cook’s paper is an excellent case in point. I wonder what the results would look like “properly” homogenised? 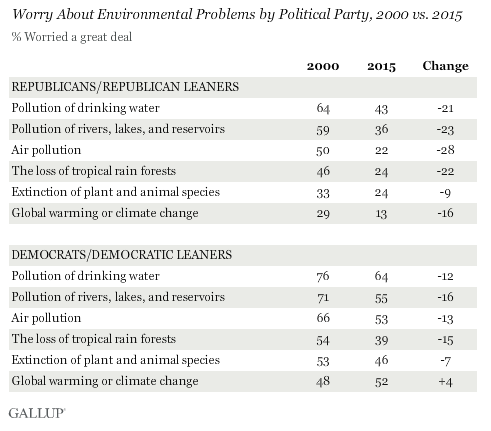 Gallup Inc., the management consultancy famous for its well known and widely trusted opinion polls, has published a summary of environmental concerns, which make grim reading for anyone hoping to spark public interest in climate scare stories. The poll summary is divided between Republicans and Democrats, and compares responses in the year 2000, vs responses in 2015. 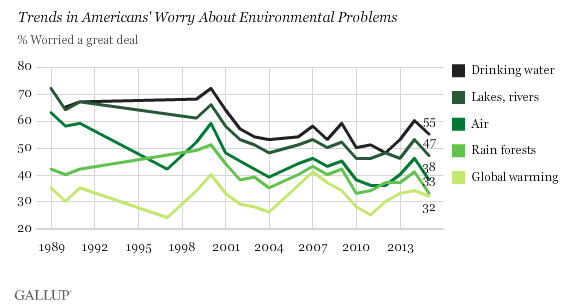 Amongst Republicans, the percentage of people who are worried about climate change has plummeted, from 29% to 16%. Amongst Democrats, concern has risen, but only slightly – from 48% to 52%. 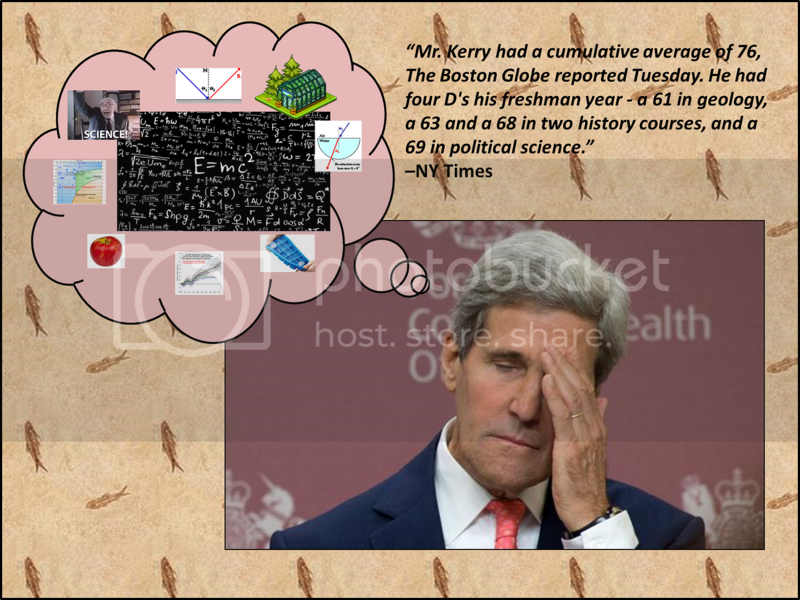 A good summary on the basic physics and recorded data that John Kerry is so (happy to be) ignorant of. An inspiring video about the ability of plants to support the healing of veterans. Since 2007, the charity Gardening Leave has championed the healing power of plants to bring relief to veterans suffering from post-traumatic stress disorder and anxiety. 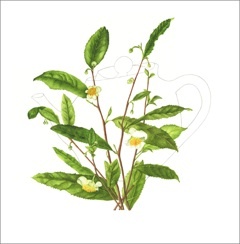 But the tie between plants and the military goes back much further than that and is now being explored in a new art exhibition.